So I do more than eat…Sometimes! Last week we went to a major cultural site in Ankara, Anıtkabir. 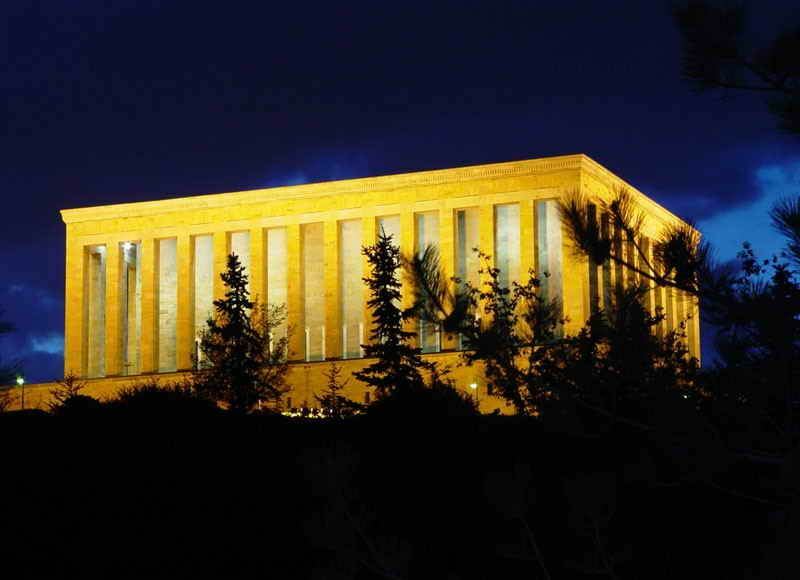 Anıtkabir means “memorial tomb” is the mausoleum of Mustafa Kemel Atatürk. His origioanl name was Mustafa Kemel but the Parliament gave him the last name Atatürk, literally “Father Turk.” He was the military leader of the Turkish War of Independence and the founder and first president of the Republic of Turkey. He abolished the Caliphate and converted the Turkish language from the Farsi alphabet to the current Latin alphabet. He is loved with a devotion by most Turkish people that is hard to comprehend from an outsider’s point of view. In the US we certainly do not have any politicians that inspire that level of love and passion, maybe the closest translation would be Abraham Lincoln or Martin Luther King Jr. to the Civil Rights Movement. On the anniversary of his death, (November 10th), at the time of his death (9:05 a.m.) sirens blare, traffic halts in the streets and people stand at attention. This entry was posted in Uncategorized and tagged Ataturk, Culture by Jules. Bookmark the permalink.